As Temple Beth El’s executive director, Steven Lander has been an integral part of the Fairfield County Jewish community ever since he moved to the area in 1969 and became youth director, program director and then executive director at the Norwalk Jewish Community Center. In 1975, Steven co-founded Amazing Stores, building up the chain to seven stores in Connecticut. Following his 20-year reign as “Mr. Amazing,” he became director of development for the Human Services Council in Norwalk and served on its board of directors. Throughout this time, Steven remained active in Jewish affairs serving as president of the Norwalk Jewish Community Center; campaign chairman of the Norwalk UJA Federation; as well as president and treasurer of Beth Israel Synagogue in Norwalk. In 2000, Steven returned to Jewish communal work, serving as executive director of Congregation Agudath Sholom in Stamford for seven years before joining the staff at Temple Beth El. Steven’s wife, Lieba Lander, is an administrator at the Gan Yeladim Pre-School. The Landers have three children: Joshua, Deborah (who lives in Israel), and Karen; and four grandchildren. Lisa Gittelman Udi runs Temple Beth El’s Religious School and coordinates all adult education, teen programming and High Holidays children’s activities, among her other responsibilities. She is a dynamic and creative educator and skilled administrator with 15 years of experience as an educational director for various synagogues, including, most recently, Greenwich Reform Synagogue. She also worked as a youth director and was the teen Jewish resource specialist supervisor at Surprise Lake Camp in New York State. 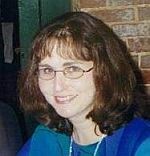 Lisa is a Phi Beta Kappa graduate of USC and has extensive post-graduate training in Jewish education, folklore and mythology. Contact Lisa: eddir@tbe.org | (203) 322-6901 x 305. 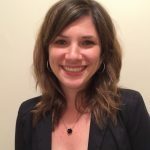 Jami Fener is a Licensed Clinical Social Worker with extensive leadership experience at Mount Sinai Healthcare System and the Jewish Child Care Association. A few years ago, she returned professionally to her passion for Jewish programming, serving as program coordinator at Schoke Jewish Family Service for both the Jewish 20’s and 30’s program and the Brain Fitness program. She has also served as an assistant preschool teacher at The Conservative Synagogue of Westport and as a substitute teacher in our synagogue’s Religious School. Jami is also currently working as a clinician at Jewish Family Services in Greenwich as both an individual and group therapist. Jami grew up at TBE, became a Bat Mitzvah here, and returned as a member when she and her husband relocated to Stamford. Contact Jami: youngfamilies@tbe.org | (203) 322-6901 x 311.